"Step aboard - the universe is waiting" Who could resist such an invitation? Especially when it is from the pen of Philip Reeve. And the universe is truly waiting. We are back in the imaginative future of the sort that created the world of Mortal Engines. 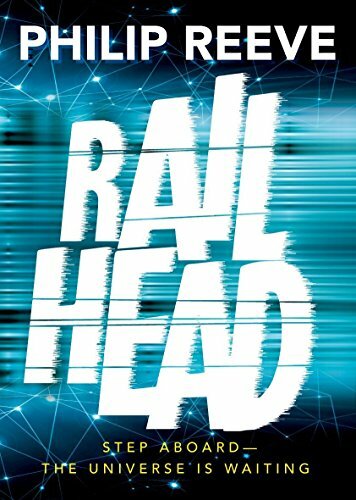 However, in Railhead, mankind has moved to conquer the universe, creating new planets, colonising the old. To travel between these worlds boringly conventional rockets have been abandoned; in their place, a rail network with great sentient trains who sing. This is an imagination that knows no bounds, inviting the reader to join in the journey on board the trains with their wonderful names - Wildfire, Damask Rose, Time of Gifts, Thought Fox. Adult readers will enjoy these, appreciating the characters that go with them; for younger readers they are names that have a resonance even if subtler connections are missed. If these machines were the only raison d'être, the substance of the narrative would be thin. However, this is not the case. This is a novel about making choices, about loyalties, about the use or abuse of power and the consequences of rebellion and, especially, what is the truth of the stories we are told by those in power - a theme Reeve has introduced before. Above all it is an exciting, breathless adventure. Central to the action is Zen, a young thief recruited to steal an artefact that has the power to destroy this galaxy. It is all about the money Or is it? The foundation is the space odyssey, a setting now made familiar through television, films and radio, but Reeve uses this framework to explore complex issues while creating real characters with whom the reader can identify - warts and all. He does this through language, words joined together in a beautifully crafted, robust style, in which dialogue adds to the pace, description is kept to the minimum - yet this world is entirely realised. This is a novel for confident readers ranging from KS3 to adults. It is an adventure story that delivers on many levels.